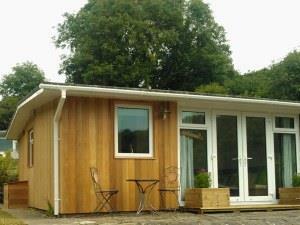 The three Whiteshell chalets have been refurbished to a high standard, inside and out. The interiors have been designed with a coastal theme, relaxing white and subtle ocean colours. All furniture has been installed new, and was chosen for design and practicality. Wifi, DVD and Freeview TV is provided. Free Wifi Children welcome from any age.